I love key lime. And I also love simple food. That’s what these are. 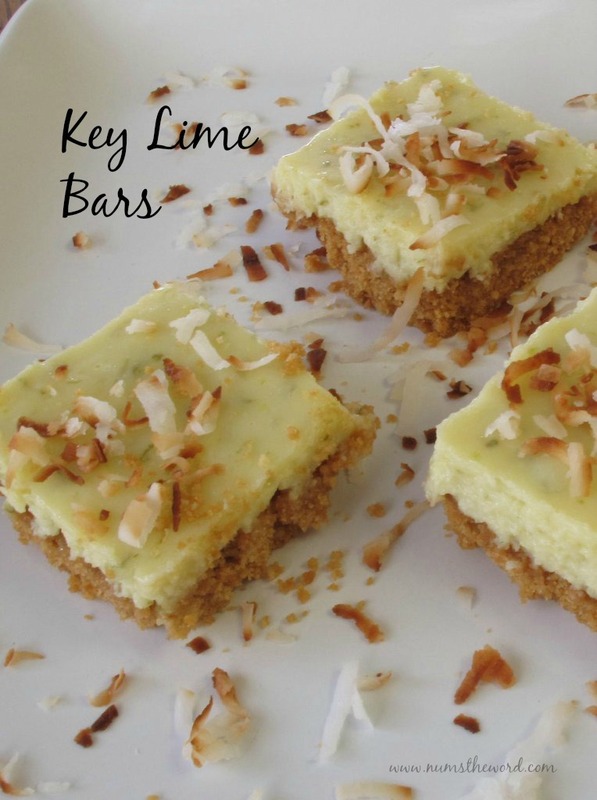 The gloriousness of a key lime pie in a simple bar. I also love that the crust for these is made out of animal cracker crumbs. Which, yes, is very similar to a graham cracker crust, but I just love that it’s something different. They are tart and just perfect in their key-limeness. 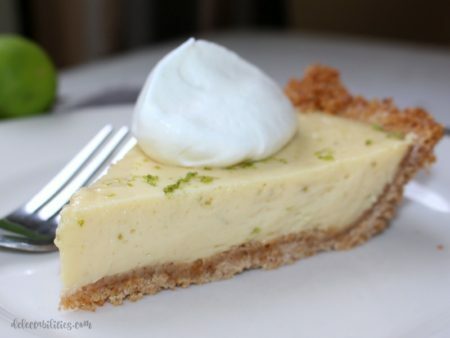 And they’re the perfect way to serve a little key-lime pie to a lot of people. It’s probably already obvious that we here at num’s the word like key lime. If it wasn’t obvious, here is some evidence: this Key Lime Pie, these Key Lime Pie Truffles, and even these Raspberry Key Lime Cheesecake Bites. Preheat oven to 325 degrees. Spray 8 inch square baking pan with cooking spray. For the crust, process the animal crackers, sugar and salt together in a blender or food processor until they are fine crumbs. Drizzle melted butter over the crumbs and pulse to combine. Pour mixture into prepared pan and press the crumbs into an even layer. Bake crust until golden, about 15-18 minutes. While crust bakes, stir the softened cream cheese, lime zest and salt together until combined. Whisk in the sweetened condensed milk until smooth, and then whisk in the egg yolk and lime juice until combined. Let the bars cool completely in the pan set on a wire rack, about 2 hours. Then cover the pan with foil and refrigerate until chilled, about 2 hours. A fancy and super simple treat! 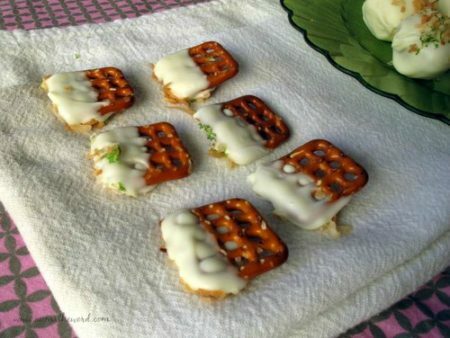 These pretzels have some of my favorite flavors, but take minutes to put together! 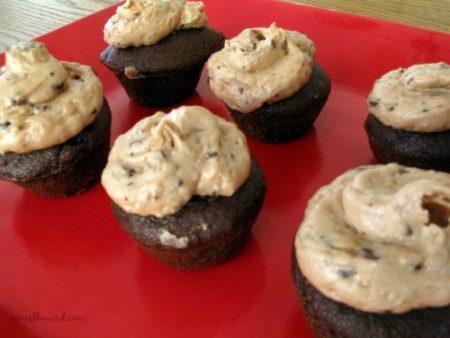 These chocolate coconut cupcakes are fantastic all by themselves but made even better with a cream cheese Mounds frosting!